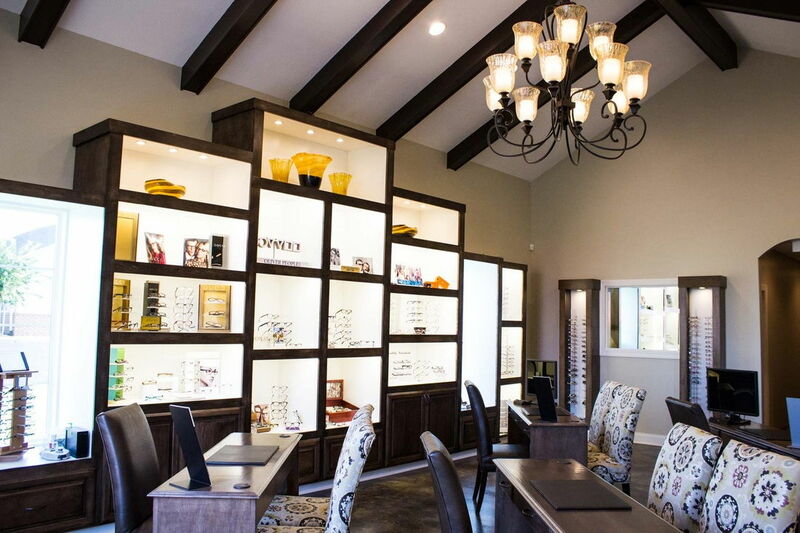 We are so excited to introduce our office, which was completed in May of 2014. 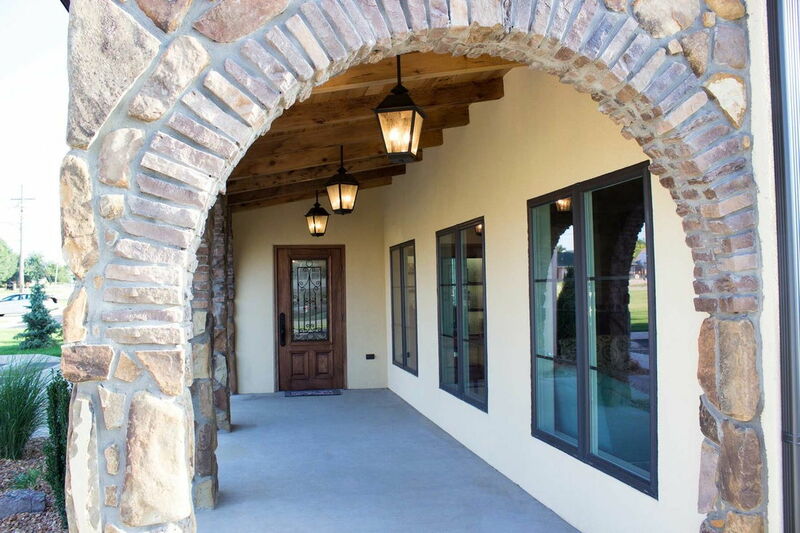 The architecture has a Mediterranean feel and is inspired by houses and churches in Tuscany, a place near and dear to Dr. Courtney's heart. 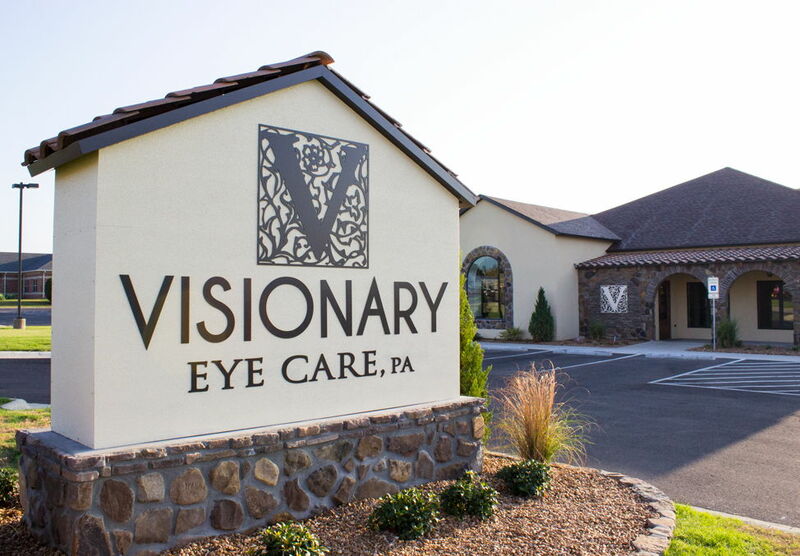 As we designed our new building, we wanted Visionary Eye Care to be a place that feels like home. 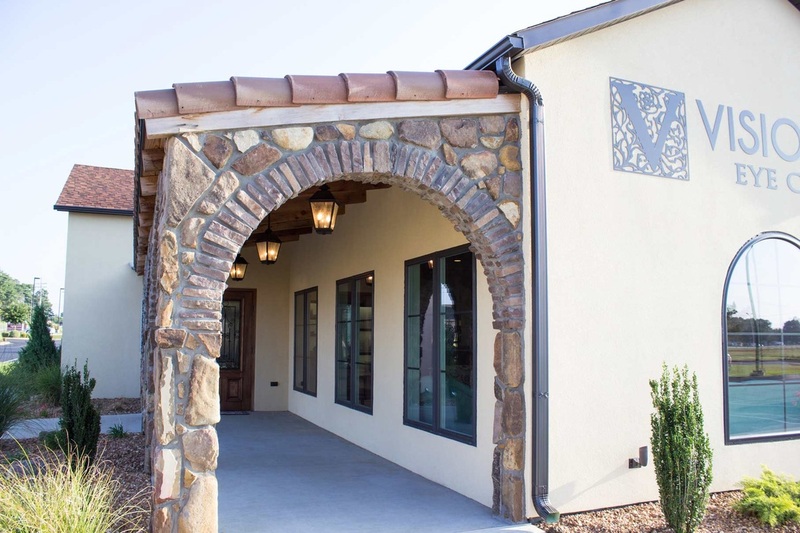 We have incorporated as much natural light as we can by putting our exam rooms in the center of the building and using windows in as many rooms as possible. 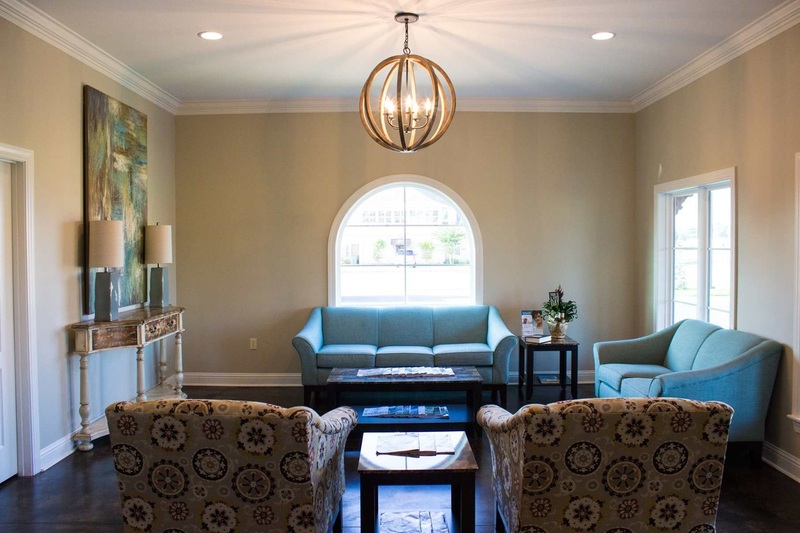 It is so nice to see the changing seasons and the shifting sunlight; our staff, patients, and doctors seem to enjoy the view and we hope you will, as well. 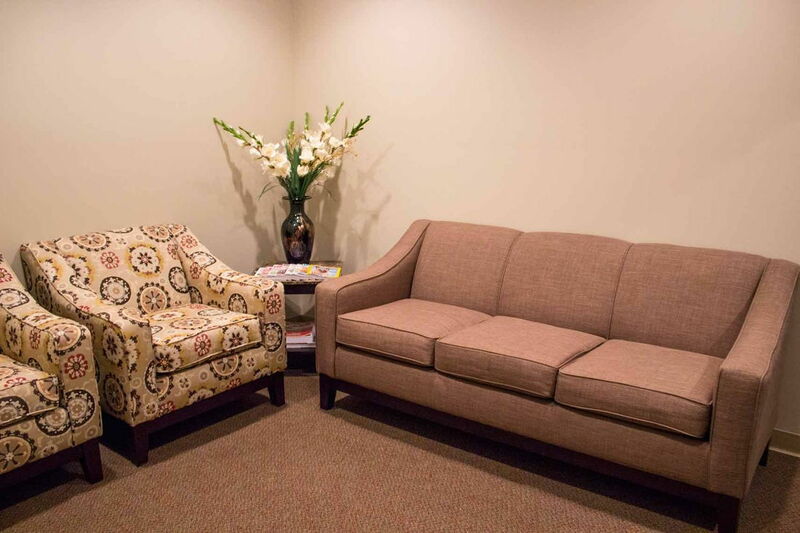 Care was taken to select furniture that is both attractive and comfortable, which has been arranged to feel more like a living room than an office. 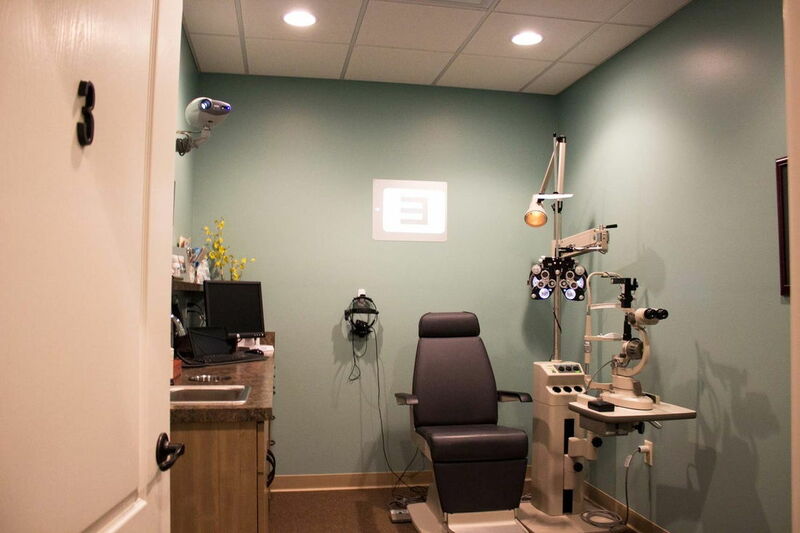 Our exam rooms are clean and have up-to-date equipment. 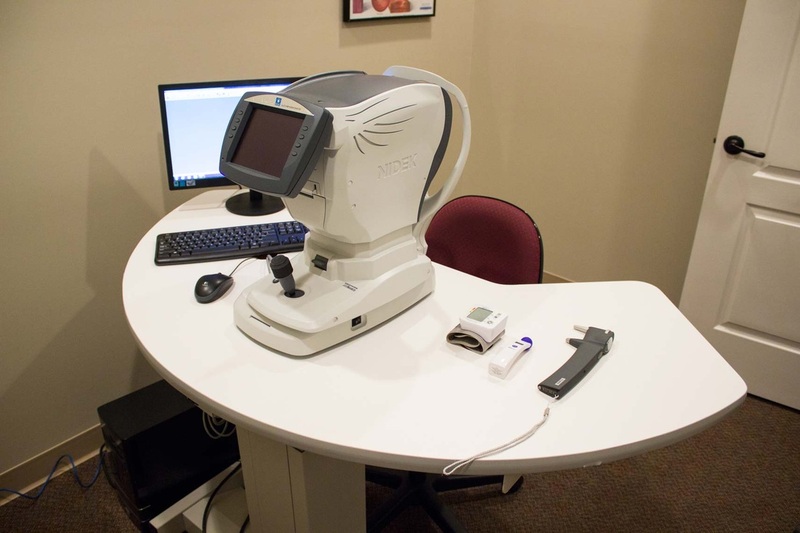 We offer digital retinal imaging and have a glaucoma screening device that offers patients an option to avoid the traditional air puff. 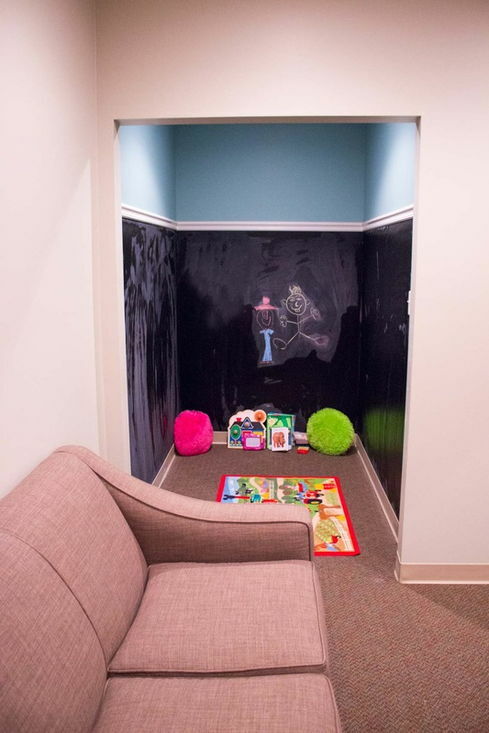 One feature of our office that has been lots of fun is our “kid's corner” – a room with chalk board walls for the budding artists (as well as more “seasoned” ones) that has classic kid's books, puzzles, and little cars to drive on the map rug on the floor. As family, both figuratively and literally, the Drs. 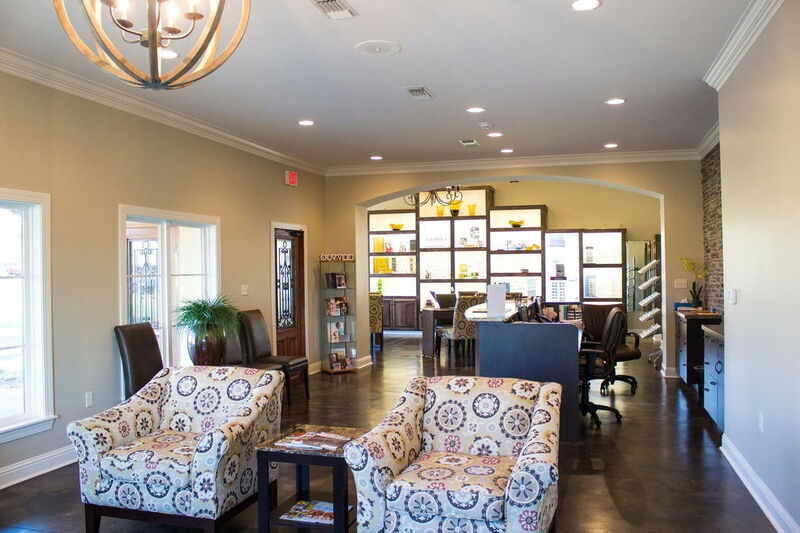 Hoffman, along with our staff, welcome you to our home!